Online product reviews cut both ways. Favorable reviews can offer timely social proof to convert ambivalent shoppers into paying customers. Unfavorable reviews—fair or unfair—can rob a product of its credibility and undermine sales. But all product reviews, whether positive or negative, are a source of valuable customer feedback. Many B2C companies may, however, wish they could enjoy the advantage of convenient customer feedback without the disadvantage of negative exposure. With Mobile Ratings & Reviews…they can. Product reviews either happen to you, or they happen for you. Mobile Ratings & Reviews are the honest, fast, and affordable way to go after customer feedback, instead of waiting for customers to post it on the web...for all the world to see. To demonstrate, we recently asked some of our nearly 650,000 agents to review a new electronic. As the examples below demonstrate, Mobile Reviews are versatile and can collect feedback in video, audio, free form, and scale formats. We received the Apple TV for Christmas 2015 and so far we love it! It is sleek and compact, so it looks great and fits anywhere. It has a lot of options of things to watch or listen to. If we could change one thing - it would be to add a CBS app for watching those network shows, but that's not a deal breaker. It's an Apple product, so it carries a higher price tag, but that's to be expected. Overall - we are excited to get to play with all of the features and have a smooth video experience! The Xbox One Gears of War bundle offers nice graphics and good variety of games. Currently backwards compatible with some 360 games, but not all. Additionally, the 360 hardware doesn't work on this system. New interface seems a little clumsy to someone not familiar with how to navigate the screens. Seems like installation time is longer than others I've played. Took over an hour to just get started due to multiple system and game updates. In addition to the information above, we also asked agents to submit a video review of their new electronics. Product reviews are a rich source of customer feedback, greatly aiding in the development and improvement of consumer goods. 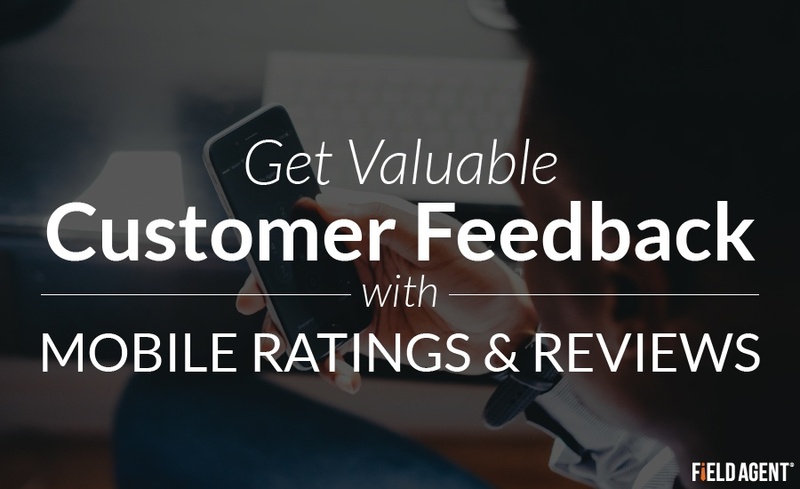 Mobile Ratings & Reviews put companies firmly in the driver's seat, offering an easy way to obtain customer suggestions, complaints, and praises—all in a private forum. Download the eBook, "Mobile Research: How Smartphones Connect Companies with Their Customers," to learn more about Mobile Reviews and other location-specific research solutions.